Apple's first encounter with Qualcomm was not good. 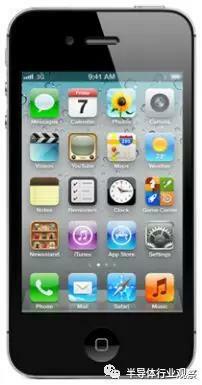 In 2005, Apple was quietly developing the first generation of the iPhone. When choosing a supplier of baseband chips, Apple naturally thought of Qualcomm and applied to Qualcomm for a sample of baseband chips. However, Qualcomm did not send samples to Apple, but sent a stern letter to Apple asking Apple and Qualcomm to sign a patent agreement on the communication agreement before Qualcomm would consider supplying the chip to Apple. And Qualcomm's required patent agreement includes not only charging Apple a patent fee, but also requiring Apple to reverse license its own patent to Qualcomm. Apple feels unreasonable about Qualcomm's request to license chips before selling them, because their original intention is simply to evaluate and buy chips from major manufacturers, and finally choose a company's product to be included in the iPhone. The original iPhone did not support 3G, so it did not involve too much in Qualcomm's patented layout in the field of CDMA; coupled with Qualcomm's aggressive attitude, Apple finally chose Infineon instead of Qualcomm's baseband chip. With the launch of the iPhone 3G supporting the CDMA network in 2008, Apple has also entered the circle of Qualcomm in the field of CDMA patents and technology. On the one hand, because of Qualcomm's patents in the field of CDMA, it is almost impossible for Apple to avoid Qualcomm's patents; on the other hand, Qualcomm's technology in the 3G era was truly unique, and there was hardly a better 3G baseband chip than Qualcomm in the world at that time. Considering these two aspects, Qualcomm's baseband chips have been introduced into the iPhone series. The 3G era is the honeymoon period between Qualcomm and Apple. At that time, Apple was still in the ascendant stage and had not yet fully established the status of global smartphone hegemony; while Qualcomm was at its peak stage, its absolute dominant position of global smartphone chips and patents could hardly be shaken, and it could make a lot of money by patent revenue alone. During this period, Apple has no motivation or ability to challenge Qualcomm's chip plus patent charging mode, while using Qualcomm's chip is an important guarantee for the high performance of Apple's iPhone series. During this period, Apple and Qualcomm signed several contracts for patents and chips. Since 2011, Qualcomm has become Apple's sole supplier of baseband chips. This exclusive relationship lasted until the end of 2016, when the patent dispute between Qualcomm and Apple ended. Court documents show that Apple's Project Antique plan is to get rid of Qualcomm's exclusive control of the iPhone baseband chip. However, Qualcomm remained Apple's sole supplier until Apple formally found a replacement for Qualcomm baseband chips. 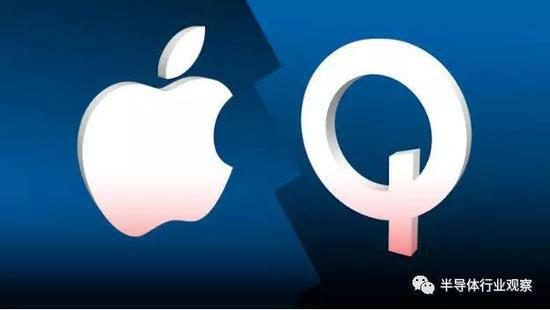 Moreover, with the growing strength of Apple and the further weakening of Qualcomm's voice, Qualcomm signed an agreement with Apple in 2013 to exchange exclusive supply for a discount on patent fees in order to ensure its position as the sole supplier of Apple. The agreement lasted until 2016, and Qualcomm earned $2.1 billion in 2016 by supplying baseband chips to Apple, which accounted for 13% of the total annual revenue, while Apple's patent licensing fee to Qualcomm in 2016 was still as high as $2.8 billion even after discounts. On the one hand, it shows the sales volume of Apple's mobile phones, on the other hand, it also shows the dependence of Qualcomm on Apple. The status of Apple and Qualcomm has changed, but Qualcomm is reluctant to change its hegemonic patent licensing model. According to Apple's testimony in court, Qualcomm still charges a patent fee of up to $10 per iPhone even after a discount, which is unacceptable to Apple. Project Antique, on the other hand, gave Apple the confidence to find a replacement for Qualcomm's baseband chips, so it would be unfair to bring the notice to court in early 2017, pointing to Qualcomm's patent licensing model, which charges a patent fee at the price of the whole machine. Meanwhile, Apple's refusal to pay patent licensing fees at the same rate led Qualcomm to cut its financial revenue forecast by $500 million for the next quarter. Meanwhile, Apple has found a replacement for Qualcomm's baseband chip, Intel. In the fall of 2016, Apple introduced Intel's baseband chip into some models of the iPhone 7 (the remaining models still use Qualcomm's baseband chip). Intel's baseband chip technology comes partly from Infineon, so it can also be regarded as the successor of the baseband chip of the first generation of the iPhone, which returned to the iPhone nearly a decade later. Apple's choice of Intel's baseband chip is based on years of behind-the-scenes collaboration between the two companies. As early as 2013, Apple had an in-depth evaluation of Intel's baseband chip and planned to use Intel in ipad Mini 2. However, due to the exclusive agreement between Qualcomm and Qualcomm on baseband chip, the plan was not finally implemented. After the introduction of Intel baseband chips into the iPhone 7, as the legal battle between Apple and Qualcomm intensified, Intel eventually became the sole supplier of the latest iPhone baseband chips. For Apple, Qualcomm is not its enemy. Instead, Apple's ideal scenario would be for Intel and Qualcomm to offer themselves both baseband chips to compete for the highest profits. However, Qualcomm's baseband chips have become a common chip since the start of the court battle with Apple: Qualcomm understands that Apple also wants to buy its own baseband chips to avoid Intel becoming an exclusive supplier, and Apple knows that Qualcomm wants to increase its chip business revenue by shipping them. In this case, Apple began to develop its own 5G baseband chip, which we think is due to a number of considerations. First of all, with the advent of 5G era, the new generation of mobile phones of the iPhone must support 5G first, otherwise the high-end positioning of the iPhone will be affected, and the brand value of the iPhone will suffer. In the world, there are few chip companies that can master 5G baseband technology. 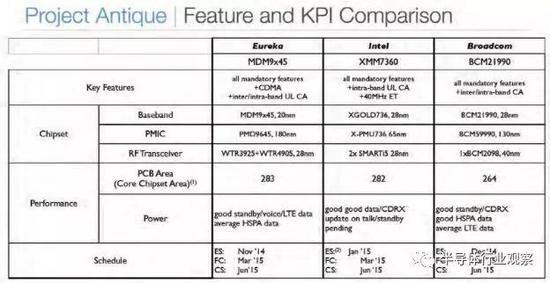 Besides Qualcomm, there are only Intel, Huawei and MediaTek. However, Huawei's chips can not be sold to Apple, and Apple is unwilling to cooperate with non-first-line manufacturers like MediaTek. So it is very likely that Intel will still become the 5G-based iPhone before the battle between Qualcomm and Qualcomm is over. The only supplier with chips. 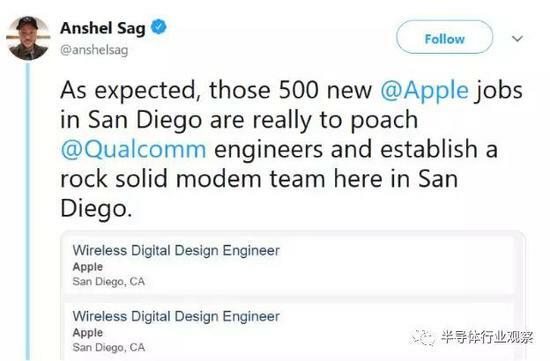 In order to change the situation of this single supplier, Apple finally decided to develop its own 5G chip, so that it did not need Qualcomm's participation, and could also be its second supplier. The second consideration is obviously to put pressure on Qualcomm as a bargaining chip. Since Qualcomm's baseband technology has accumulated for more than ten years, it is still the leading technology after all. It is likely that Qualcomm will remain the world's strongest supplier of baseband chips in the future. In this case, Apple wants to get Qualcomm's baseband chips at a reasonable price, so that the iPhone can use Qualcomm's high-performance chips without Qualcomm's control. 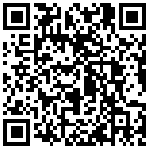 Therefore, through self-developed 5G baseband chip, but also to the future and Qualcomm negotiations to add chips. Finally, Apple has previously made considerable gains by developing its own application processor (AP) chips. Through the special optimization of high-performance A-series processors with iOS, the performance of the iPhone is much better than that of other mobile phone manufacturers using third-party AP, and the self-developed AP has become an important aspect of differentiation competition between the iPhone and other mobile phones using third-party AP chips. As we all know, 5G is very important for the communications industry and Apple. Therefore, it is possible to achieve the same effect of self-developed AP by matching the baseband chips developed by ourselves with the operating system tailored for the baseband chips. This will make the communication quality and experience of the next generation of the iPhone gap with other mobile phones, thus ensuring the high-end brand positioning of the iPhone. Because 5G baseband takes years of research and development, we don't think it's possible for Apple to use self-developed 5G baseband chips in the next year or two. But if Apple finally finishes self-developed 5G baseband chips with excellent performance, the foundation of the Apple Empire will be more solid. By that time, the most likely scenario will be Qualcomm and Apple themselves becoming the two major sources of baseband chips for the iPhone, while Apple's own patents accumulated in the development process will play a very advantageous role in the negotiations with Qualcomm. For Intel, it may lose hundreds of millions of dollars a year from Apple, but because Intel itself does not focus on 5G baseband chips, the loss is not significant. Judging from the long-standing resentment between Qualcomm and Apple, we believe that core chips such as baseband and AP will become the core interests of future mobile phone and other smart device manufacturers. In order to gain a favorable position in the future competition, Chinese smart device manufacturers should learn from Apple and Huawei to lay out their core chips resolutely, so as to avoid holding their doors in the hands of other suppliers. In addition, in the field of mobile phones where competition is already fierce, self-developed chips may also become an important factor in differentiated competition, which can greatly improve the brand grade and profit. Of course, self-developed chips have never been a simple way, requiring a lot of capital, manpower and time to accumulate. However, we believe that the development of chips with core intellectual property rights in appropriate areas will surely receive substantial returns in the long run. When China has the world's leading mobile phone manufacturers, if these leading manufacturers can consider self-developed chips at the right pace, their competitiveness will be stronger, their barriers to competition will be higher, the company's rivers and mountains will be more stable, and eventually become an evergreen tree. Apple Watch 4 generation evaluation: except the watchband has not changed, others have changed.